This is the most breathable jacket in the world according to Berghaus. But is it the most suitable jacket for hillwalkers? No hillwalker likes the condensation that inevitably builds up inside a waterproof jacket. While it is proving hard to banish entirely, each year the outdoor industry takes another small step towards ending this clammy sensation. The latest move nearer to condensation-free comfort comes from the Berghaus GR20 Storm jacket, which combines the very latest version of 3-layer Gore-Tex Active with extra ventilation to gain what the brand is tagging ‘Hyper breathability’. 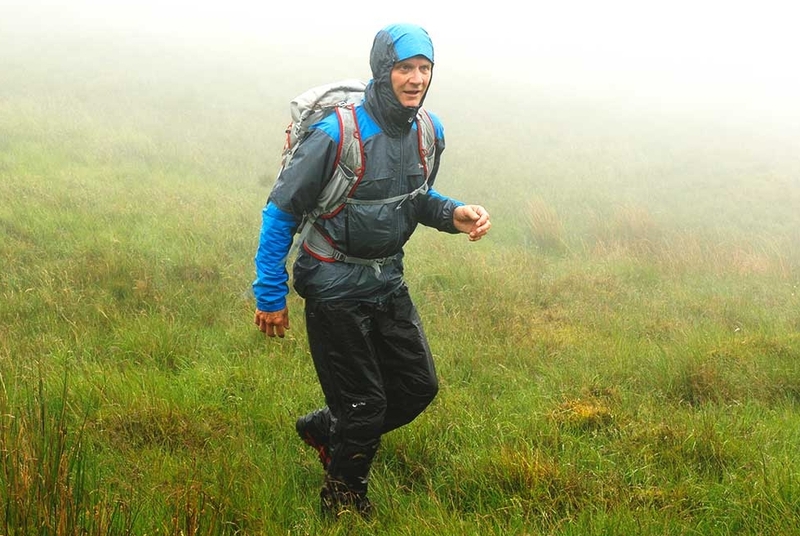 Trail took the jacket into the wet and windy Lakeland fells to see what it’s made of. For 2018, the second generation Gore-Tex Active features a new thin ePTFE membrane, which is more durable than the original. In addition the fabric gets a C-Knit Backer, as used on other 3-layer Gore-Tex fabrics, to manage condensation. 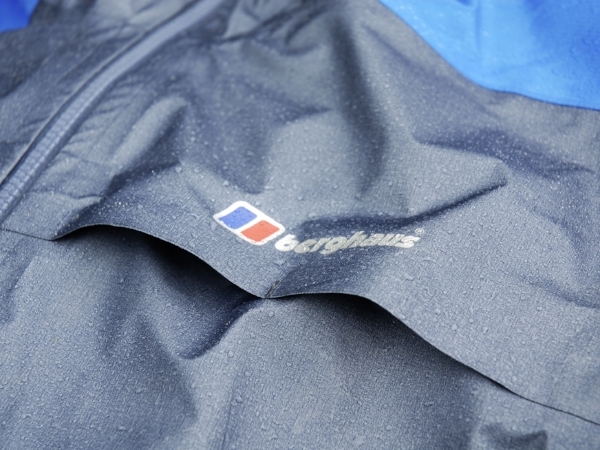 So far so good, and the result is a robust and extremely breathable fabric that is used to great effect in a number of Berghaus products, including the Cape Wrath jacket (£250 and 349g for size L), which we reviewed in the June 2018 issue. We thought this jacket was pretty good but now the GR20 Storm promises even more benefits. The GR20 Storm’s status as ‘the most breathable jacket in the world’ is thanks to its use of Body Mapped Storm Vents, which are short openings in the jacket positioned across the chest and down the sides. 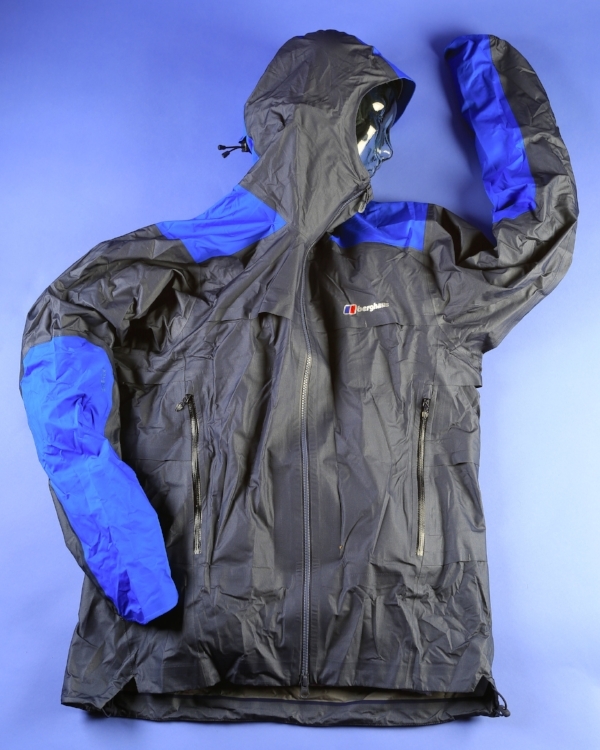 These types of vents are used in non-breathable budget jackets, as well as cycling and running jackets, to increase airflow, but they are not normally a feature of high-end mountain jackets. The Storm GR20 also comes with mesh-lined pockets to further increase breathability. As well as being more breathable than the Cape Wrath, the GR20 Storm is also slightly lighter than the Cape Wrath at 291g for size L. This 58g weight saving comes in part from the use of a thinner outer layer being built into the 3-layer Gore-Tex Active fabric. But also the GR20 is about 3cm shorter at the front, has no Velcro cuff adjustment, and has a less substantial hood peak with no face drawcords. So the GR20 is a slimmed down product, and this all helps to shave off a few grams. To see how all these features come together on the hill I’ve been taking the GR20 Storm onto the fells, during any spells of persistent rain following dry, warm periods of summer weather. This is the perfect test ground for this jacket. It’s precisely when it’s largely warm and sunny that you want a lightweight waterproof to fend off the breeze. But when the rains come in you also need something that will keep you dry in a downpour – and also dry from the condensation that so easily builds up in warm weather from extra humidity. The shorter body length makes overtrousers pretty important, but I’ve also noticed that the sleeves are quite neat and close fitting and the hood isn’t quite as protective of the head as other jackets. The cuffs have no adjustment apart from elastication, so I haven’t been able to cinch them tight either. This all adds up to feeling slightly less well-protected from the elements than with some jackets, and it also means I’m a little colder when I stop, as the thin soft fabric combined with the neat fit means very little warm air is trapped inside to provide insulation. Most importantly those vents on the chest and down the sides of the body haven’t let water in, though it is probably fair to say that if the rain was harder and came from more varied angles with wind, this is still a potential leak area – so I’d remain cautious about taking this jacket out in really wild storms. But for summer showers lasting just a few hours, it works really well. In terms of breathability, the GR20 is impressive too. I had a general slight dampness on the outside of my fleece jacket after one walk, which was most noticeable in the sleeves due to their close fit allowing less airflow. But I’d say this was certainly up there with the best in terms of how little condensation was held inside the jacket. It’s great to have a pair of map-size pockets that are easy to access, but as they are mesh some care is needed to make sure no water passes through them. I’d advise keeping them firmly closed in driving rain. The hood leaves your head a little more exposed than others, but it does at least move well with the head. Overall, for summer hillwalking I like this jacket. The low weight and reduced features work well. You do get a little more protection from the Berghaus Cape Wrath, which has a lower price, is slightly heavier and marginally less breathable, but if you want the lowest weight and excellent breathability, then the GR20 Storm is definitely worth a closer look. New 3-layer Gore-Tex Active (the most breathable fabric in the Gore-Tex family) is combined with extra ventilation, good pockets and a reasonable hood to make this lightweight jacket a good option when every gram counts and you want maximum condensation control. For the latest reviews - including extra photos and bonus products that won't appear online - pick up a copy of the current issue of Trail magazine!